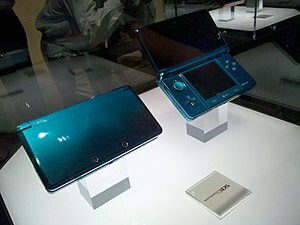 The 3DS was shown off at a special event held by Nintendo Europe in Amsterdam today, with Jonathan Ross hosting. Essentially they didn’t talk about anything very exciting during the majority of the show. Some 3D content providers and wi-fi hotspot partners were talked about and a rather large selection of games shown. Most of the developers who came out on stage were train wrecks and would have been better off staying back home in Japan, seeing as most of them were from there. The launch date of the system is the 25th of Mark in Europe which is a week earlier than the US launch. What they didn’t mention during the event is the price, which now that I know what it will be, am not surprised they didn’t mention. I didn’t think they would go above the £179.99 launch price of the Wii, especially because the US price of the 3DS, also announced today was for $250, which happens to be the Wii launch price in that country. Contrary to seemingly strong logic, it appears that the price will be somewhere between £220 and £230, which to me is a joke. Yes, VAT was increased, and yes, we always get ripped off anyway so we should be used to it by now. It just feels like the ripping off is getting worse and worse with each now generation of system. I don’t know what the reason is, I would very much appreciate someone to help me understand this. While the selection of games on offer does interest me, especially Mario Kart and Animal Crossing, I just don’t know if I can pay this much money for the system at this time. The issue is that I want to play those games so much based on being addicted to the DS and console versions of them in the past, and I do always buy new Nintendo systems and games. I know that the price is unlikely to lower for at least a year after launch and I don’t think I’ll be able to resist that long either. It’s frustrating to know that even if I hold out for a few months it’s unlikely to save me any money at all. I also am not a fan of the colours they selected. I just want a white version, but all they have is aqua blue and black. It’s more disappointing to know that they’ll probably release a lite version for half the price in black and white in a year or so. Overall, a very disappointing announcement, even if Jonathan Ross was typically tricky to handle for the Nintendo Europe executives at times, which was entertaining to see. And to think, they had actually convinced me to pre-order one until I heard the price later on in the day. If I’m honest, I don’t want to be writing this kind of post every single time Nintendo or Sony announces a new system. I just want to be able to talk about cool something is, and once again, they’ve overshadowed that possibility.